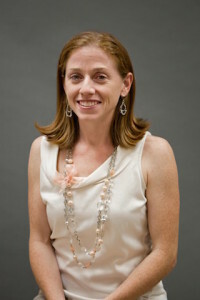 Dr. Sarah Zak joined the Practice 2012. Sarah Zak is a certified and licensed audiologist . She is nationally certified by the American Speech- Language- Hearing Association (ASHA) and is a fellow of the American Academy of Audiology (AAA). She received her undergraduate degree in Pre-Professional Speech Pathology from Louisiana Tech University in Ruston, LA in 2000 and Masters of Communication Disorders degree from the LSU Health Sciences Center in New Orleans, LA in 2002 and completed her Doctorate of Audiology Degree in 2009 from the Arizona School of Health Sciences, an affiliate of A.T. Still University. Sarah has 10 years of experience in clinical diagnostic audiology with 6 years specializing in pediatric audiology. Dr. Zak provides expertise in the areas of pediatric and adult behavioral audiometry. She has special skills in the area of electro-acoustic diagnostic testing including Auditory Brainstem Response (ABR) testing, Otoacoustic Emission Testing (OAE) and Electronystagmography (ENG). Dr. Zak counsels and fits hearing aids and amplification devices, including assistive listening devices for all ages. In addition, Dr. Zak administers specialized testing for the evaluation of Central Auditory Processing Disorder (APD). Sarah has resided in Jacksonville for 10 years; she lives with her husband, two boys, and boxer. Sarah and her family enjoy doing anything outside- boating, going to the beach, biking, playing soccer, and swimming.